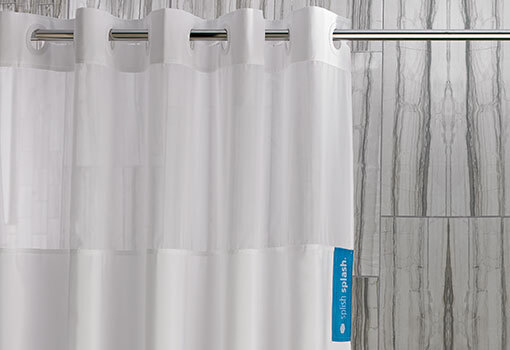 The Hookless Shower Curtain from Hampton is full of clever details that refresh your bathroom, and make your routine seamless. Our innovative hook-less design replaces the need for rings or clips with built-in smooth gliding grommets. 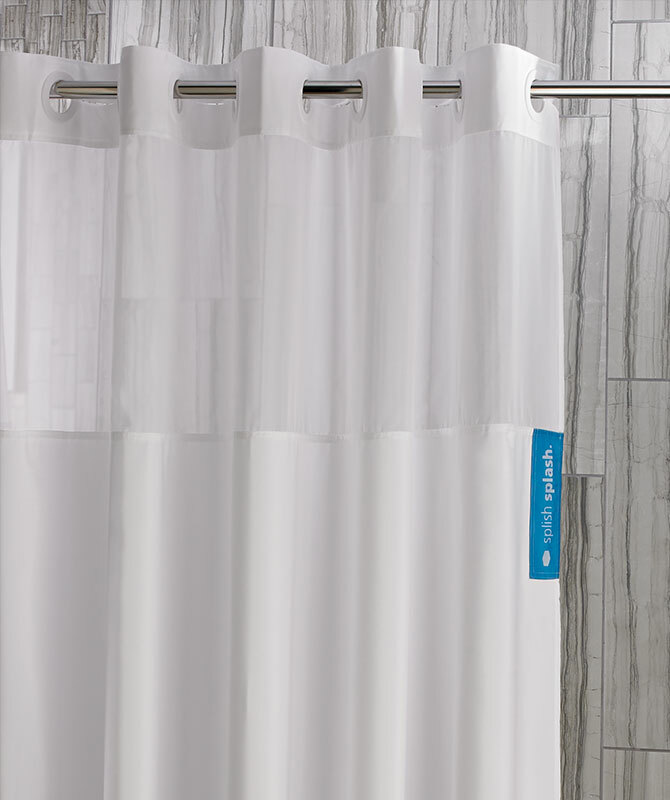 A pop of color from a Splish Splash tag and delicate mesh top panel create a hotel-inspired look.